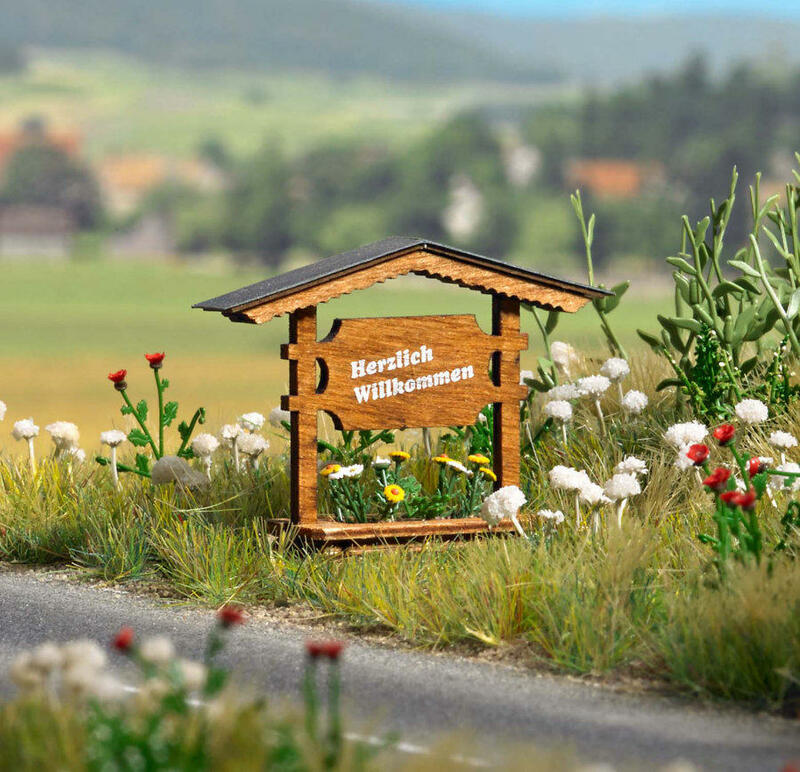 Rural village sign with wooden canopy and flower box. Printing on both sides of the sign welcoming Welcome and on leaving Good-bye. Have a good trip. Planted with summer flowers. Incl. Park bench waste basket small boulder and bush for the design. Original signs are in Ortseingangsschild, Germany. Size: 40 x 10 mm 31 mm high. German Text.